For centuries tortillas have remained a staple of the Mexican diet, but the rich significance of this unleavened flatbread stretches far beyond food. Today the tortilla crosses cultures and borders as part of an international network of people, customs, and culinary traditions. In this entertaining and informative account Paula E. Morton surveys the history of the tortilla from its roots in ancient Mesoamerica to the cross-cultural global tortilla. 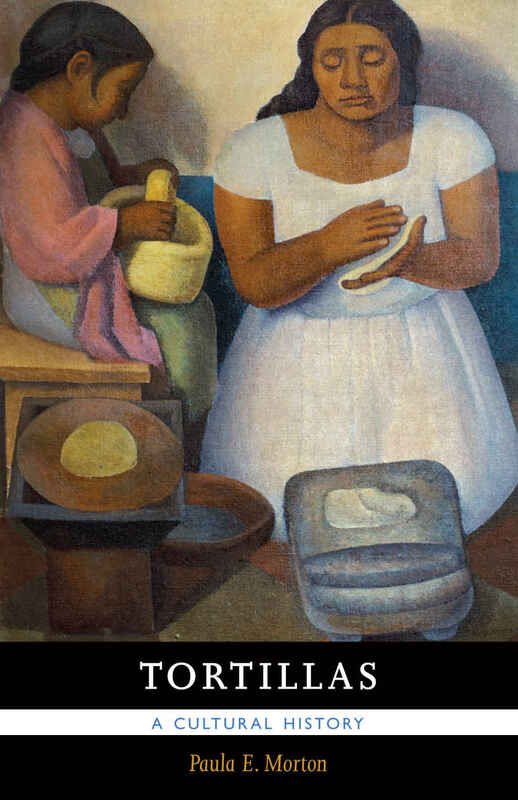 Morton tells the story of tortillas and the people who make and eat them—from the Mexican woman rolling the mano over the metate to grind corn, to the enormous wheat tortillas made in northern Mexico, to twenty-first-century elaborations like the stuffed burrito. This study—the first to extensively present the tortilla’s history, symbolism, and impact—shows how the tortilla has changed our understanding of home cooking, industrialized food, healthy cuisine, and the people who live across borders. Paula E. Morton is a journalist in St. Augustine, Florida. She is also the author of Tabloid Valley: Supermarket News and American Culture.